Marcelino Manoel da Graca anglicized Charles Grace and best known as Sweet Daddy Grace was founder of the United House of Prayer for All People. Born off the coast of West Africa on Brava, Cape Verde Islands, he was one of nine children born to Emmanuel and Delomba da Gracia. In the early 1900s the family moved to New Bedford, Massachusetts where Grace worked numerous jobs before founding the House of Prayer in 1921 in West Wareham, Massachusetts. In 1923, the second House of Prayer was established in Egypt and three years later the United House of Prayer for All People, was founded in Charlotte, North Carolina. Poor blacks in urban areas were drawn to Grace’s ministry. Operating under Pentecostal-Holiness practices, followers witnessed musical brass shout bands, miraculous physical healings, and mass baptisms. Under Grace’s leadership the United House of Prayer churches experienced growth and economic prosperity through the purchase of real estate in the United States and abroad. The church received revenue from donations and the sale of products named after their founder. Critics opposed Grace’s popularity, flamboyant appearance, and lavish lifestyle that included wealth, jewelry and mansions. The Internal Revenue Service and numerous individuals estranged from the United House of Prayer brought lawsuits against Grace and his religious organization. None were successful. It is estimated that Grace founded hundreds of House of Prayers across the United States and overseas with an estimated following of over 500,000 parishioners. 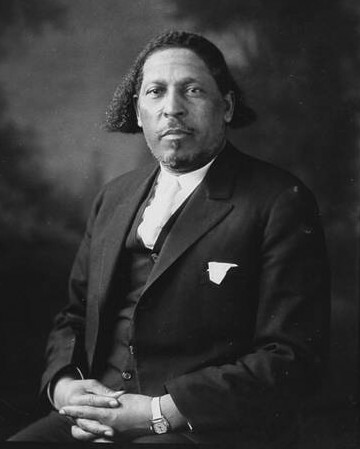 Charles Manuel Grace died on January 12, 1960 in Los Angeles, California. Following his death Walter McCollough succeeded him as leader of the church. John O. Hodges, “Charles Manuel ‘Sweet Daddy’ Grace,” in Charles Lippy, ed. Twentieth Century Shapers of American Popular Religion (New York: Greenwood Press, 1989) John W. Robinson, “A Song, a Shout, a Prayer,” in C. Eric Lincoln, ed., The Black Religious Experience (Garden City, NY: Doubleday, 1974). Black Religious Experience (Garden City, NY: Doubleday, 1974).